If navy is your neutral, this one's for you! 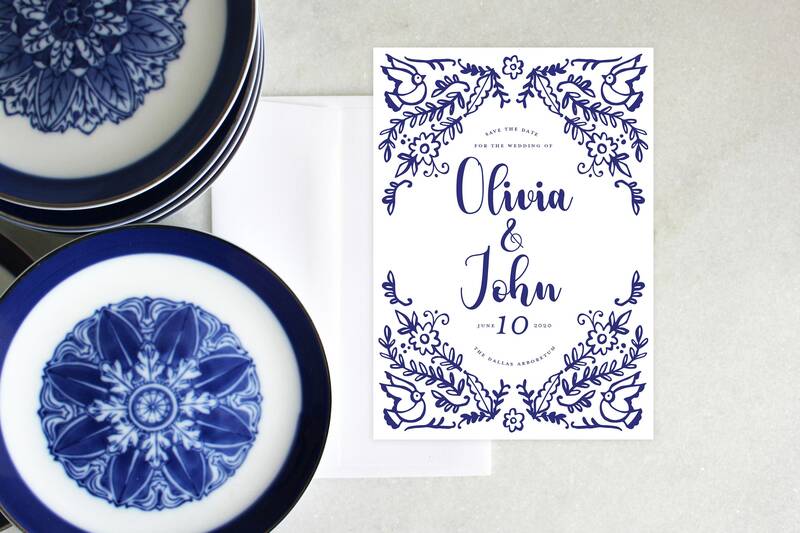 Our Chinoiserie Save the Date is inspired by delft china patterns mixed with the beauty in nature. 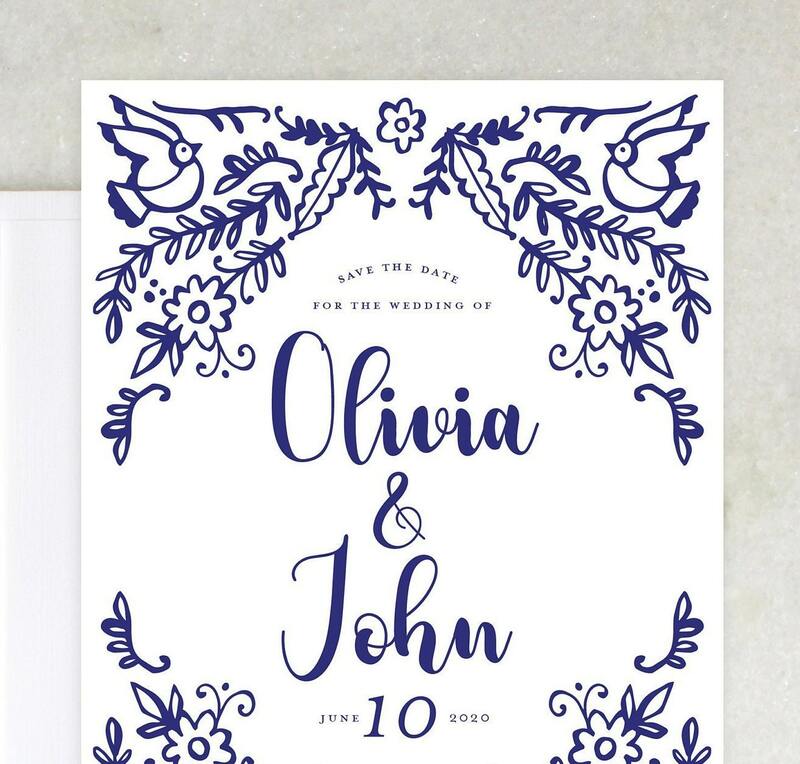 It's for the timeless bride and with classic taste!